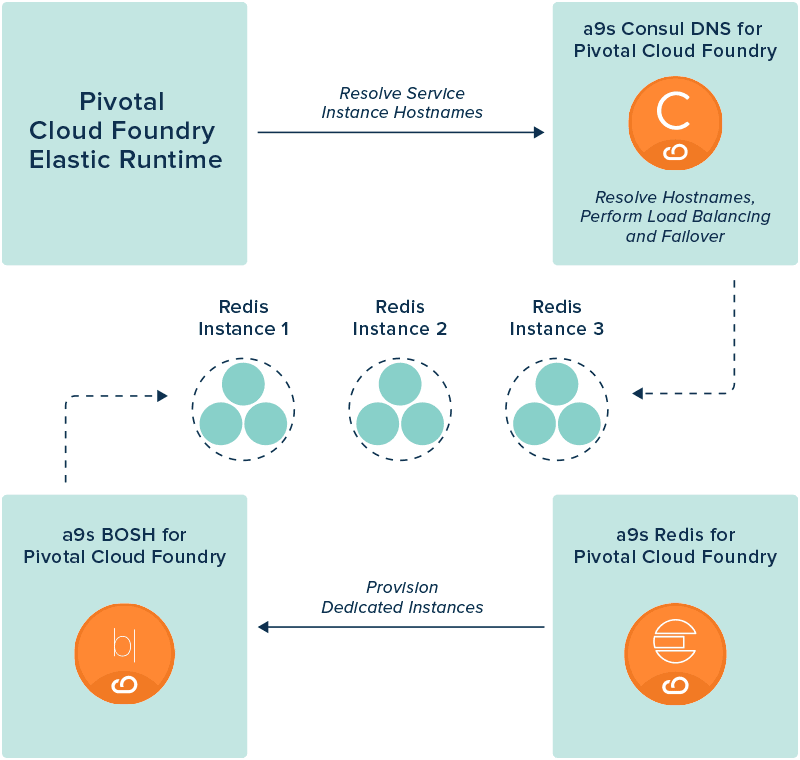 Just as Pivotal Cloud Foundry allows you to deploy, scale and keep your applications running with very little effort, a9s Redis for PCF allows you to create, scale and monitor on demand provisioned Redis with the same simplicity. A seamless integration of the a9s Redis service allows Pivotal Cloud Foundry users to provision and manage Redis instances on their infrastructure using the Pivotal Cloud Foundry Apps Manager or the Cloud Foundry CLI. Easily provision highly available and dedicated Redis instances with a single command. anynines Redis is included in the anynines Data Service Kickstart Bundle. This Bundle allows you to use a growing list of services with a single licence. The bundle currently includes a9s MongoDB, a9s PostgreSQL, a9s RabbitMQ, a9s Redis, and the a9s Elasticsearch services. Full lifecycle automation takes care of provisioning, logging, monitoring, fast failover, self-healing, security and backups. anynines has experience in operating highly available, distributed systems for over 10 years. Since 2013 anynines is among the first Pivotal Cloud Foundry partners worldwide. By training and consulting large enterprise customers, anynines has learned early how production grade data services need to be designed. Plan migrations. Developers can resize deployments by changing their service plans as needed and resource requirements change. Option to create and destroy the service instance on demand as required. Supports high availability against internal service failures to minimize downtime for bound applications. Multi-Availability Zone support. Make use of multiple availability zones in cloud deployments to support failover. anynines Redis ships with an on-demand service broker. By installing a9s Consul and a9s BOSH for PCF, a highly available service discovery system is used for hostname resolution as well as a dedicated BOSH for the provisioning of Redis instances.